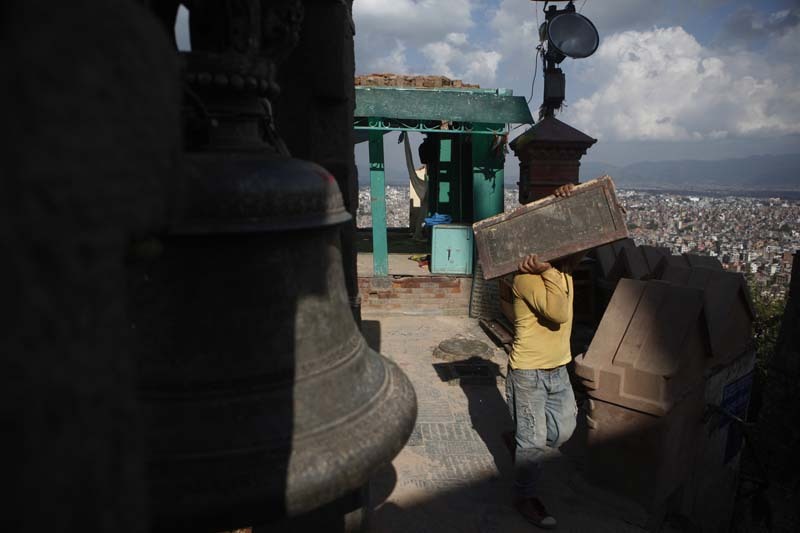 KATHMANDU, June 17: The National Reconstruction Authority has approved a Work Procedure on Preservation, Renovation and Rebuild of Earthquake-hit Monasteries, 2017. With the endorsement of the work procedure from the NRA Executive Committee meeting held on Friday, the way to reconstruct 1,100 monasteries (Gumba and Bihar) hit hard by the April 2015 earthquake has been eased. The procedure would come into force only for the preservation, renovation and rebuild of quake-affected public monasteries less than 100 years old. Though the earthquake had caused damages to around 1,300 monasteries, only 1,100 monasteries under 100 years old are to be reconstructed. NRA CEO Govind Raj Pokharel said the enforcement of work procedure would open up avenue for stepping up efforts for the post-quake reconstruction of monasteries – which has been held since long. “In absence of work procedure, there was confusion on ways to take ahead monastery reconstruction. With the framework in place, the rebuild efforts would gather momentum”, he said. There is the provision in the work procedure to take into consideration the gender, disable and children friendly approach while rebuilding the quake-affected monasteries.